... but it rained here on Monday night. Rain, not snow; nice little shower at that. Temps were in the low 50's and it certainly caught me off guard. 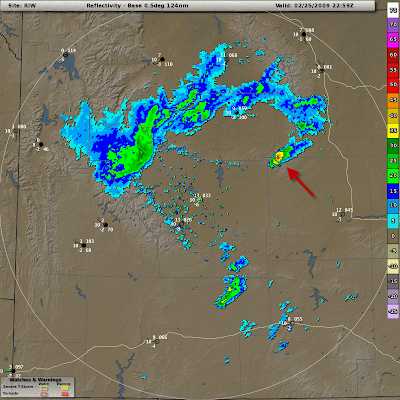 I had watched a little convection fire up over the Palmer Divide earlier in the evening, but they quickly faded. 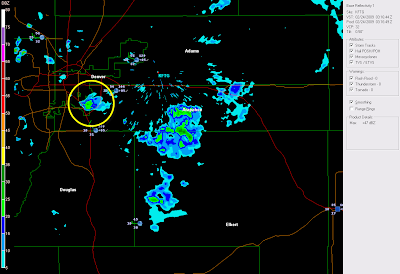 This was the case with my little shower as well, which you can see in the radar image below. Today, we saw a few thunderstorms associated with an approaching shortwave in Wyoming. Again, just a bit excited for spring to be here ... and I have an image. Enjoy! 16S Hina - Is done. 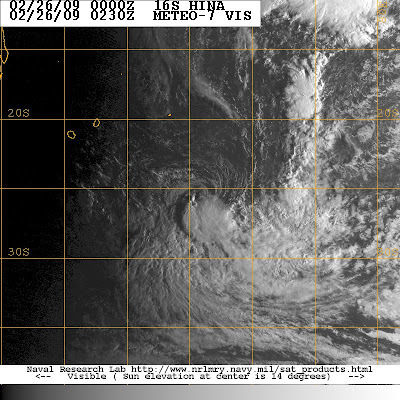 Found a nice image of the remnant circulation center, though. Currently at Denver (Hampden Heights), Colorado: 55ºF Mostly cloudy (high clouds). Winds light. 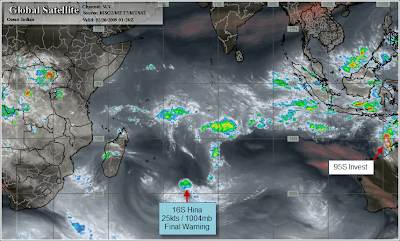 Overview tropical satellite imagery and KRIW radar imagery used with permission; courtesy of IPS Meteostar Inc. Tropical tracking information and additional satellite imagery from Joint Typhoon Warning Center and Navy/NRL Tropical Cyclone Page. Annotations are made by the author of this blog. Click for larger images. 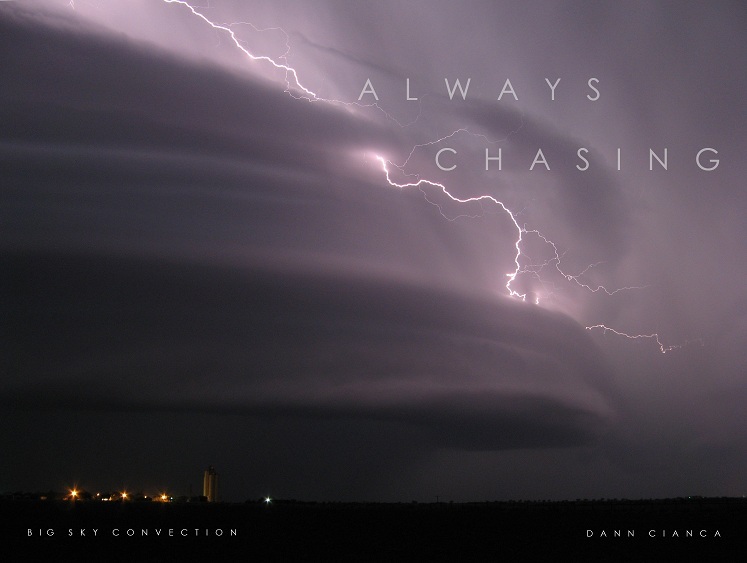 Its perfectly natural to be excited by the 1st local round of storms of the year! Lol in reply to your question, I got the refurbished IBM for 289. Its rated 4.5 out of 5 based of 78 reviews so I think I did well. Alan, I couldn't believe there was so much lightning up there! A friend here said he could see it from his house along the Front Range (in-cloud flashes in the tops). Adam, so it wasn't really a thunderstorm ... more of a shower. Hmmm ... though that's a tempting price, I think I might be going laptop-less again this year.